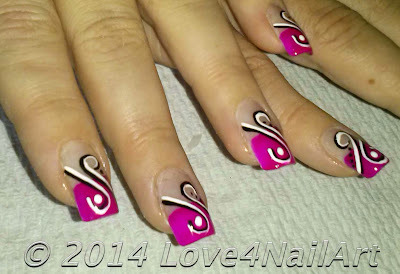 This is a extremely SIMPLE nail art design to achieve. I started with a simple french, then added some swirls. Anyone can easily achieve this design if they wish! So if you attempt it tag me online so I can check it out!